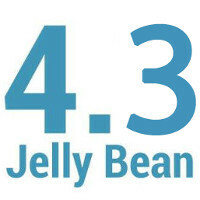 The Nexus lineup is a synonym for extremely quick Android updates and Android 4.3 Jelly Bean is no exception. The Nexus 4, Nexus 7, Nexus 10 and even last year's Samsung Galaxy Nexus will start getting the update to Android 4.3 today. The roll-out will likely be gradual so our guess is that it will take a couple of days until your Nexus gets the new Android version. The update comes over-the-air, of course. Android 4.3 is a gradual update that brings stability improvements and some neat developer features. Right below is a summary of its new features. Well done Google, destroy fragmentation then move on to lag and android will be unbeatable!! Google already erased lag. Its skins and bloatware stuck on the phones that cause lag. Agree. Here I have a chinese phone with dual core mediatek cpu & 512 MB RAM inside it, and it's installed with custom rom & custom launcher. It's so fast, runs fluidly, no lag at all. Stupid manufacturers put useless softwares with heavy skins that make it lags. Lag's not been issue of late tbh. And 4.3 claims battery improvements which if true is terrific. I'm pleasantly surprised about the GN update so soon. Way to go Google. iOS has fragmentation as well in that not all devices can run a version of iOS with all of the same features. Considering they only have 3 supported phones, 4 supported tablets this is pathetic. Android Jellybean provides the same functionality to the Galaxy Nexus, Nexus 4, 7, 10, GE GS4 and HTC One GE. Where it not for the open nature of Android, and the fact that it can be heavily modified by the hardware maker and further by a phone company updates would be immediate. At least you have the option of what you want, fast updates or extra features. BTW any phone can lag. Whether it is the Galaxy S4, Lumia 1020, or iPhone 5. Any piece of technology will hiccup occasionally. Plus wait and see what happens to the iPhones when they finally can run multiple apps at once like Android. The iPhone 4 is contemplating suicide at the thought of this. My Mother's iPhone 4 lags with the best of them, & she is what is considered a LIGHT user. She has 3 apps on her phone, she may text once or twice a month & might snap a picture or 2. STILL with all that usage she says her phone freezes & is slow. That's true, the iPhone 4 definitely lags with iOS 6. I've used my cousins and it's slow as s**t compared to my iPhone 5 or even my 4S. GREAT. I can't wait for Root-Box to get updated to Android 4.3 so my HTC Droid DNA can get the awesome Android 4.3. I say in less than a week I will be rocking Google's SICK Android 4.3 on my BEAST HTC Droid DNA. Can't wait!!! I'm sure you'll appreciate the battery enhancements of it. My friend has the DNA, and the battery is rather disappointing. Not if you root. Last time I have charged my phone was over 25 hours ago. Right now I am at 2 hours & 10 min of screen on time & STILL have 39% battery left. Also my HTC Droid DNA is overclocked to 1.7GHz. crpalmer's AOSP Kernel for the HTC Droid DNA with Root-Box ROM are insanly battery efficient on my Droid DNA. Like I said I ALWAYS root. It's the ONLY way to go if you own an Android. Oh Super! I am still holding on to my GN, but I wasn't expecting the 4.3 right off to be honest. Awesome Google! you've gotten a few loyalty points from me! and this is why the nexus line will always be the most superior form of OEM distribution.day 1 updates. well obviously..i'm speaking from a non-root users perspective.although my n4 is already rooted and i'm currently waiting on the de-odexed rooted zip on xda. well this should make my gf happy. i gave her my Nexus 7 a few days ago. So they released 4.3 build JWR66V which is the same leak from almost a week ago. Battery improvements (Project roadrunner) is nowhere to be seen. Maybe in android 5.0 key lime pie? Are they considering the Verizon Galaxy Nexus an actual Nexus? (I don't! :-() Is it expected to receive 4.3 ota?